Week 1 & 2 - Publicity - Speaking to NME Magazine – A 3 page article showcasing the whole band and their history – 1 full page was dedicated to ‘The life and loves of Maude A Terranian’. In the article she acknowledges recent artists she admires: Elly Jackson aka La Roux; Chvrches and The Raveonettes. She also pays tributes to, in her opinion, the greatest bands to ever walk the Earth & that have inspired Lizarazu: The Beatles & The Rolling Stones. Several arty photo’s were also taken including many 'blue' themed snaps to accompany the article. When asked why, all Rob would say is that the band had decided on a chosen theme for their current work and that they were all very 'happy' with their recordings. The interviewer could not hold back and pushed Rob for more answers and whether an album was coming. Maude interrupted and simply said ‘watch this space! !’ The interviewer added a closing paragraph, stating that he was very confident an album was on cards for 'Liz'. Weeks 1 and 2: Record song "Crash"
(All) Crash, crash, crash into you. (Flint) I don't want to hurt you but I don't want to be alone. Before I end up falling down. (Kelvin) I'm tried to stop but I think it's too late. Week 3 is the release of episode 3 of ImPA.CT TV, where the members give fans a short tour of the recording studio and Blake drops a hint that they may be coming back soon. Week 4 consists of teaser pictures for ImPA.CT's first EP. Each weekday an individual teaser for one member is revealed, showing the members looking almost translucent. On Saturday details about ImPA.CT's first EP "Crash" are revealed, as well as a release date of 21st June. A 15 second video teaser featuring a distorted clip of "Crash" is released on Sunday, showing the members performing a part of the choreography as one by one they fade away. Looks like Alison made a small typo! Oh well, social media has seen worse errors. Alison Redd has finally released her first album for some time, aptly titled Time Waits For No One. As the eye-searing cover-art would imply, this is a simple pop album with only the occasional attempt at being thought-provoking. The title track (and lead single) is something of an ear-worm and clearly the one on which most time was spent, with a rich, possibly over-lush string backing employed to great effect. King Of The Hill tells the tale of a triumphant loner and makes use of driving rhythm guitar complete with harmonica riffs as accompaniment. Deck Chair is a rare instrumental track from Alison, borrowing a lot from the funk genre with hammer-on licks and some distorted brass. Hummingbird is the first of the albums slower paced tracks, and is followed by the whimsical My Mama Said which seems to have been written through a child's eyes. Ninjas In Vietnam is nothing short of surreal, detailing a rather epic battle between musicians and ninjas, where Alison finds herself the damsel in distress. You couldn't make it up. The second half of the album begins with Left And Wrong, which uses the age-old trope of opposites juxtaposed in music. Sandcastle Park expresses some fond childhood memories, while Bucks And Dimes is a tad more cynical in its outlook. Money, Honey is a slower yet groovy tune that leads into the final number, A Town Called Earth, the only real political statement on the record which calls for peace due to the fact that we all share a home. The lead single, Time Waits For No One b/w Left And Wrong has been well recieved so far and radios will likely play it until the album's second single is released, the contents of which are already rumoured to be leaked. The album does come with a free sticker, of a mysterious heart-shaped red apple. How bizarre. It would appear ImPA.CT are preparing their first major release in the form of an EP titled Crash. We appreciate the connection between crashes and impacts, well done word-players. What could it possibly mean? Our office has no resident Frenchmen (or women) so we can only assume it translates as "Croissant Hon Hon Hon." Croissants are, after all, arc shaped. Maybe it literally means "Arc Of Bread." Lytespeed Thunder, little known band, have been helping out in homeless shelters. This cements their status as all around good guys and so you should definitely buy their stuff on principle alone, even if you don't listen to it. 'S another country one, aye. It'd be fair to say I run out of steam towards the end of updates. And we're reporting on it! So that's May for you, calendar fans will know that this means AUGUST comes next. Only joking, June is next. This month is INTERNATIONAL COLLABORATION MONTH so any collabs will only take one week instead of two, please take advantage of this one-time-only offer. That's a bit optimistic. Collaborations are performed with other players in the game, not real life acts. Apologies if this was unclear or unintuitive. Of course you don't have to collaborate with anyone but it can be a nice little boost to fame. A fast-paced song with the theme of facing up to an antagonist. Pretty much a simple heavy metal song that begins with a crash of cymbals and a speedy guitar riff. Sally takes the lead vocals; the chorus slows the pace slightly but doesn't lose any of the angry tone - "I'll face you down / Stood back and watched for far too long / I'll face you down / You think you'll win but you think wrong". After the third verse the song slows dramatically as Eric launches into a flurry of drawn-out, impactful guitar riffs and Simon lays into a drum solo, before stopping abruptly. After a second there comes a quiet drumroll that steadily builds before the other instruments erupt back into life. A bass solo from Steve leads into a short but sharp guitar solo from Eric, and with a final crash of the cymbals the song ends as abruptly as it begins. Pretty much just a straight cover of the original. EDIT: If I can't get anyone for the collab, is there any chance I could change my last option to a cover of Hallelujah please? Cheers. Last edited by Chu on Wed Nov 19, 2014 5:31 pm, edited 1 time in total. Weeks 1, 2, 3: Release EP "Crash"
3) "I Wish (FT ISLAND)"
Last edited by Pineapple on Fri Nov 21, 2014 7:25 pm, edited 1 time in total. Week 1- Collaboration with Dis Mah Jam on their I'm Coming Home track. Techno Punk – Shane goes mad on the drums keeping the authentic drum rolls. Theo provides some of the electronic wizardry with distinct up tempo sections provided by Peter Muffin. Rob opts for electric acoustic, accompanied by Steve Scot, the pair work masterfully in the shared lime light. Maude and Sheldon Taylor’s vocal sections are a match made in heaven. The song is about a full on fight between a Lawyer and a criminal on the day after the criminal’s release. Now stand & fight … it’s a Body Blow surprise ! Now stand & fight … take a Body Blow ! Bo-dy Blow !! Take a body blow ! body blow ! Bo-dy Blow !! Week 3 & 4 - Publicity - Website and social media pages up & running. Following the successful Paris Trip and the features in Mix Mag & NME, an extensive selection of photo's and quotes from Maude and Rob have been made available across the internet. http://www.Liz4razu.com is the hub and from there anything can happen! The live blog is hot with comments regarding Maude's 'watch this space!' comment in the NME interview. Some people have also noticed many crazy photo's and snaps of weddings and wedding presents. 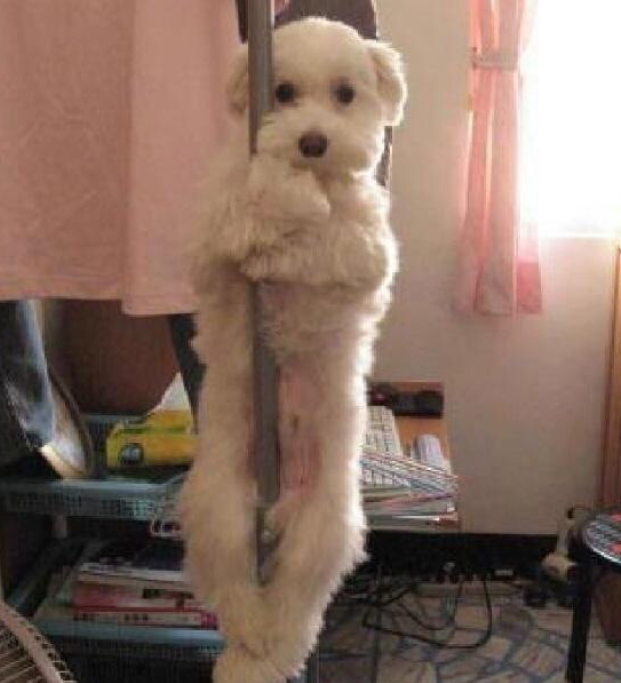 Theo jumps on the live blog to say: "keep the faith, all will be revealed soon - Liz4razu 4eva". Thanks for telling me about collabs. I'll just do this instead tyvm. Week 4 - Collaboration w/ImPA.CT "Greased Prayers" (A progressive pop song that features heavy amounts of electronic and keyboard elements. It describes various food products in detail within the verses, however, the chorus reflects upon how obesity is ruining lives and, in turn, society. The title is a somewhat comedic take on how sacred fatty food is to many. Pg 20- Lady Lara Has Ebola! Art Thou Feeling It Now, Mr Krabs? Lytespeed Thunder have released their first album to great reception, converting the entire office into fans. The record is clearly a labour of love, and includes many tracks that we have no doubt everyone cool and hip and happening can relate to. A must-buy. Super Starduster release their debut album featuring an Egyptian theme. We love a good concept album, and this is no exception. Anything that starts with Sun King is clearly nothing short of THE BEST. 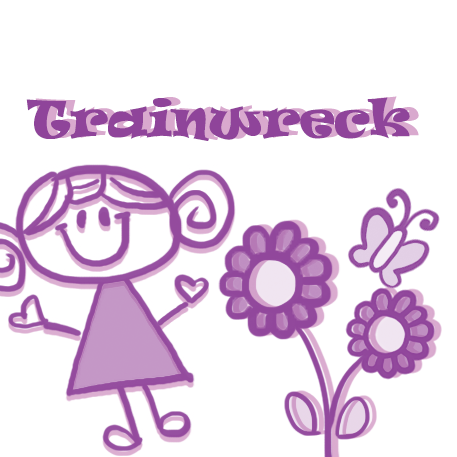 Don't let the cute cover art fool you, the Trainwreck EP is not to be taken lightly. Charli continues to carve out a style for herself with a package that we cannot doubt will be popular with the youth of today. Rock on. 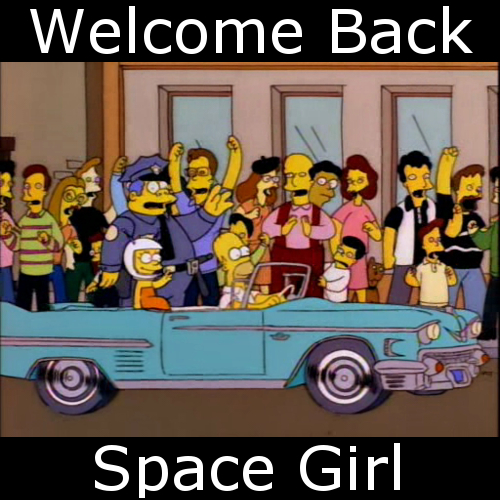 Space Girl have repeatedly requested funds for a trip to outer space but their record label has refused them every time. The band is gathering a following however and the fanbase wishes them all the best in their mission to host the first zero-gravity concert. The Crash extended play cements ImPA.CT's status as genuine crowd pleasers, including their hit single Breathe along with a few new treats, this short sample of their work is innovative and soulful. Top marks for that one. TGMP have been spotted at many fast food outlets lately, buying large amounts of fast food. They even sent ImPA.CT some in the post. What does it mean? Our resident conspiracy theorist thinks it could be something to do with PEAK OIL. Watch this space. JUly starts now, ending June 2015. No event actions this month, so do your thang. Belter of a song with powerful vocals and crashing instrumentels in the chorus. Obviously enough, the song is about moonshine. That is legitimately my new favourite album cover. Liz Hype ! Too many crazy posts received on the live blog for Liza4razu.com. Fans couldn't contain their happiness. One fan simply wrote "OMG I love you Maude #Liz4eva !" Week 1+2- Record Song- Humble Jungle- A very fast, upbeat and drum based paced song with rapping in the verses, lyrics about in the "concrete jungle". Release Album Week 3-4 (continuing on to next week)- "Coming up from Below"